Hanako was born in the wild in 1971, and brought to the Fukuoka City Zoo when she was just 2 years old. At her death, she’d been alone 5 years since the death of her companion. In the last few years, she’d been unable to get up after laying down and had to be lifted up by winches. She slept standing up. Hanako was kept indoors for most of the day (approx. 18 hours) in her tiny indoor stall. She was shown to cope with her stress by continuously rocking her body back and forth. According to reports, her health took a turn for the worst on the evening of September 27, 2017, and she died soon after. 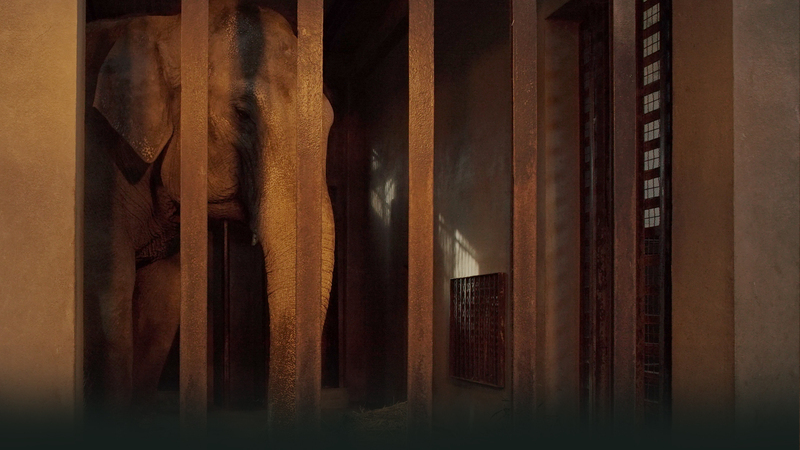 Hanako’s her long, lonely and tragic life in captivity is is over – and she no longer has to suffer. There are still over a dozen solitary elephants living in similar dire conditions across Japan (and around the world). We need to speak out for them, before it is too late. You can stay up to date on our efforts, by liking or following our Facebook page. 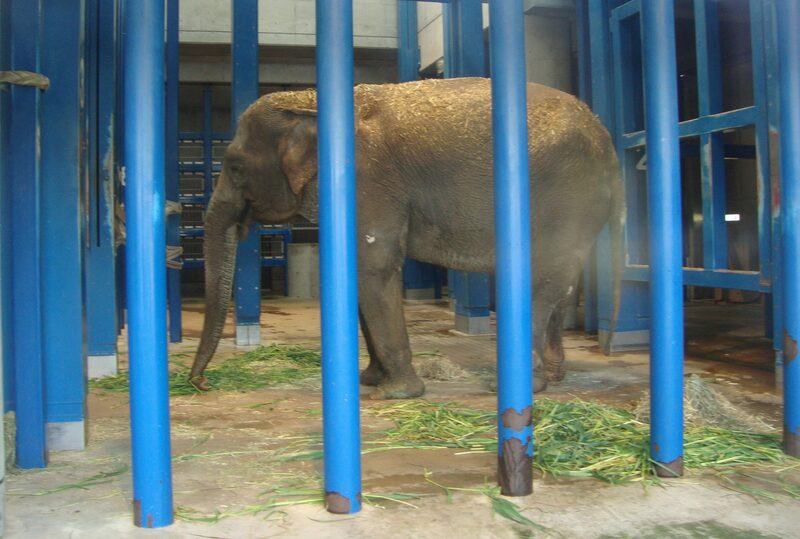 Coming soon: Information on who exactly to target in your petitions and outreach – to other solitary elephants in Japan like Hanako. 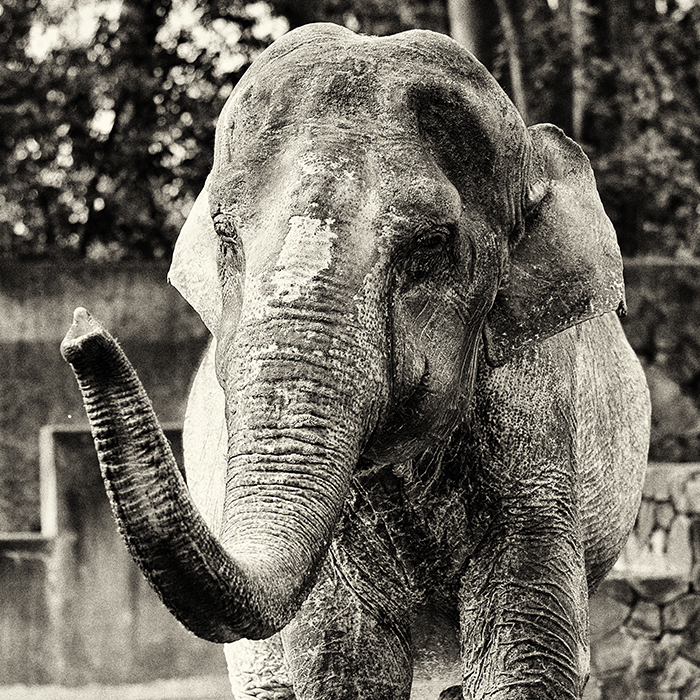 Find out how you can start helping the solitary elephants: HERE.